HIKS Blue SUP Board or Stand Up Paddle Board is for all ability levels providing excellent stability and balance as well as a smooth ride. The set fits inside the backpack making it super portable. 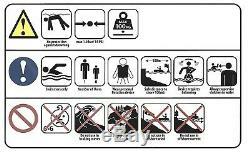 Set Includes: Sup Board, Detachable Skeg, Hand pump, Repair-kit, Backpack & Ankle leash. Ideal first SUP board, providing good stability & balance whilst being lightweight & Manoeuvrable. 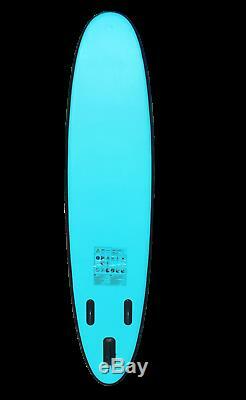 This board features a large blue EVA traction pad on the surface for added grip. Central carry handle, Removable Skeg, Elastic bungee cord to hold items like waterproofs or drinks on the board whilst paddling. Stainless steel ring to secure a line. 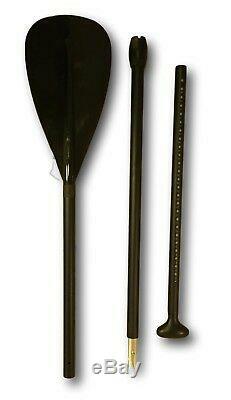 Fully adjustable paddle 1.78 - 2.2 meter, 15 PSI Pump, Waterproof Back Pack, 2.3 meter ankle leash. 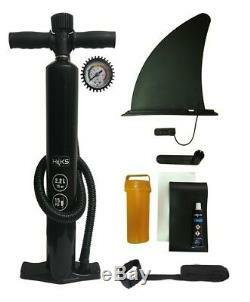 Set Includes: Sup Board, Detachable Skeg, Hand pump (with pressure gauge), Repair-kit, Backpack & Ankle leash. Maximum recommended user weight: 100kg. Inflated Size: 305 x 71 x 10 cm (L x W x H). 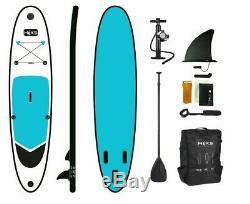 Stand Up Paddle 3m Board Blue SUP Board Set HIKS 10ft. Return posting costs will be at your expense. Please check this listing page carefully as the answer is usually there. The item "Stand Up Paddle 3m Board Blue SUP Board Set HIKS 10ft" is in sale since Thursday, January 11, 2018.